Thanksgiving is less than a week away. To get in the holiday mood, Boy and I got some eggnog, turned on the heater, and of course made a turkey (….just to have….because we wanted to). So that means that before Thanksgiving is even here, we already have delicious leftovers. As you’re getting ready for your own Thanksgiving celebration this week, there are lots of opportunities to make Toas-Tites out of the leftovers or even for the main meal! 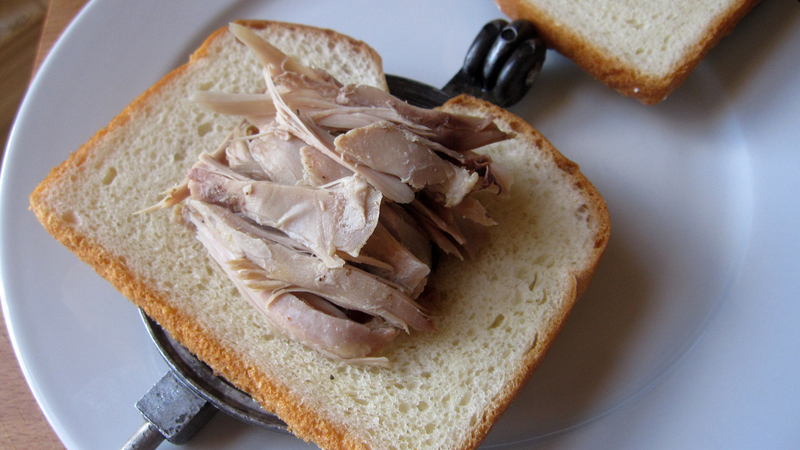 You can make turkey sandwiches, pies, more turkey sandwiches. And if you’re getting in some early pudgie pies this week, don’t fret about the extra bread trimmings which don’t end up in your sandwich. You can save them to bulk up your stuffing or you could use the extras to make bread pudding! Keep an eye out for our bread pudding soon. 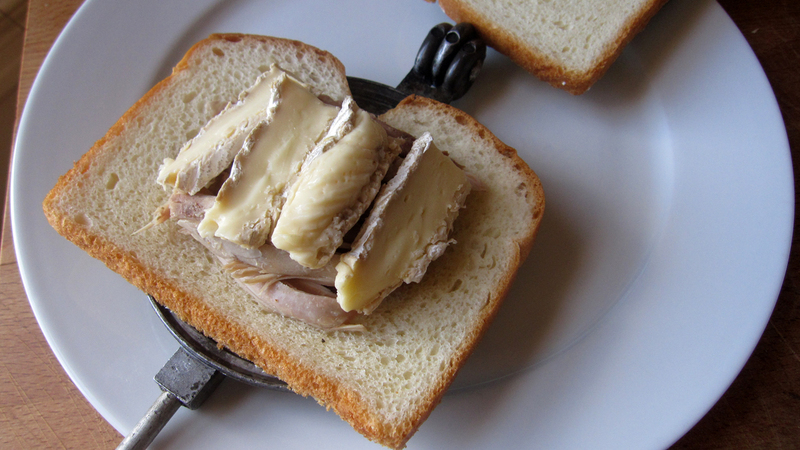 So to get you started, here’s one of our favorite ways to use up T-Day leftovers combining the glory of the turkey with melty and delicious brie. Prep your bread by buttering one side of each piece. Place your bread, buttered side down, into your pudgie pie grill. 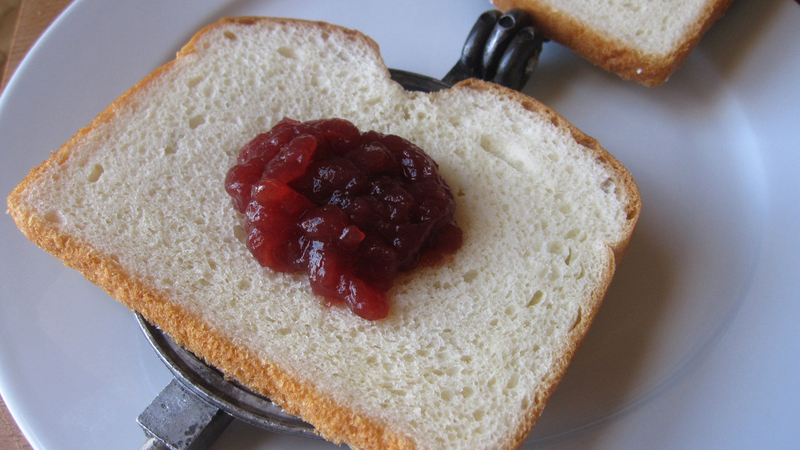 Dollop your tablespoon of cranberry sauce on top of the bread. Layer the turkey on top of that. Finally add the brie slices. Carefully place the second piece of bread on top (buttered side up, of course) and close the grill. Trim the excess bread and toast for approximately 4 minutes on each side over medium heat, rotating the grill every 2 minutes, or until golden brown. Remove the sandwich, throw some extra cranberry sauce on your plate, and dig in! This one is like Thanksgiving heaven. 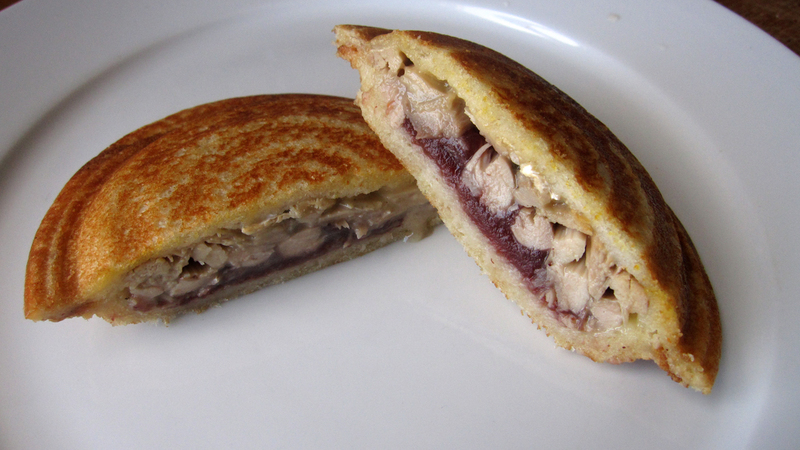 The harmony of the cranberry with the turkey is perfect with the melted brie. The brie doesn’t overpower the turkey or the cranberry either. Instead, each flavor builds on the other and you’ve got a delicious bite. Now all you have to do is make sure you get some leftovers to take home!